Back in 2008, vWallpaper was one of the jailbreak apps that got us all excited about jailbreaking. The jailbreak app allowed users to replace the boring static wallpaper with dynamic videos. 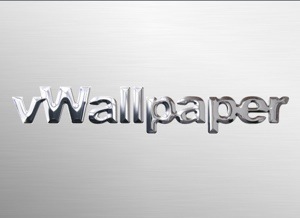 The goods news is that developer who goes by the handle skrew has just released vWallpaper 2 for iOS 5.
vWallpaper 2 will allow users to replace the static wallpaper with videos, cool effects like particles, 3D objects, HTML widgets and lots more. Wont that eat the battery? vWallpaper is pretty good but it kills my battery. I got doogeemoa lock and home screen wallpapers. No battery drain and much better than anything else I could find. Plus I dont have to install or mess around with anything, they installed the entire winterboard animation and setup it up for me. I got Jasmine and Blue Serenity;-p.
its working fine now!!! but thanks!!! I don't see a battery shortage issue on my iPhone 4, just ram being eaten up which I clear up with SB Settings - Processes - FREE UP MEMORY. And of you're really gonna **** about its battery life, do yourself a favor and get a Mophie battery pack case. $75, and you can go the whole day without plugging in. Too easy. Yes there is a glitch interference with folder enhancer and this video app. So I disabled folder enhanced and shot them a kind email to fix it. Until then, living without folder enhancer in exchange for a wicked wallpaper is a fair trade of...for now. Let me clarify, it doesn't hold the place in your video file when you hit the "done" button, it does when you "home button" exit and click in video to open it back up. I just liked it before when it said "0:25 min remaining" or something like that. Wow this app alone makes jailbreaking worth while!! After I install video wallpaper 2, my phone goes to safe mode. It won't go past safe mode. Please help. How do you save current desktop wallpaper if you cant find the image on google anymore?